The time of exclusive top-down leadership is over! 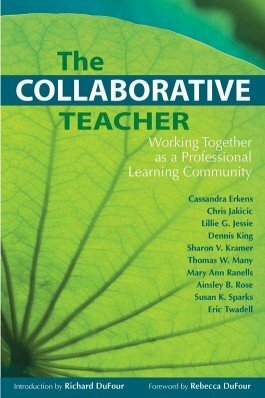 Only teachers can transform education from inside the classroom, and this book defines best practices of collaborative teacher leadership. Specific techniques, supporting research, expert insight, and real classroom stories illustrate how to work together for student learning, create a guaranteed and viable curriculum, and use data to inform instruction. Define and implement best practices for collaborative teacher leadership in a PLC. Discover how to work together for student learning and how to create a guaranteed and viable curriculum. Explore the many ways data can be utilized to inform instruction. Use common assessments to bridge the gap between teaching and learning.